First Nations leaders criticized Canada for being one of only four countries to vote against the United Nations Declaration on the Rights of Indigenous Peoples. The Canadian government said the document was too confusing and too broad. But Native leaders said the complaints were unfounded. 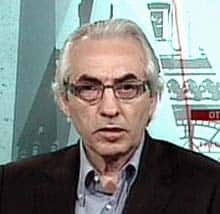 "In our view, it's a stain on Canada's reputation internationally," Assembly of First Nations National Chief Phil Fontaine told CBC News. Fontaine was at the U.N. session in New York City for the vote.